John W. Rawlins III « joDah Ministries, Inc.
John W. Rawlins III is one of the most promising voices in gospel music. 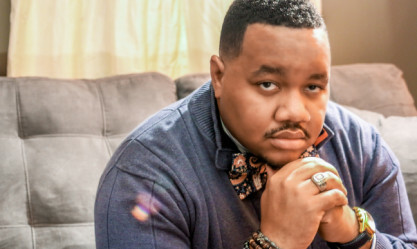 A gifted vocalist, songwriter, and worship leader, this DC-area native’s focus is simple: to serve and honor God through ministry and introduce people to Jesus Christ right where they are. John’s relevant and life-changing ministry has had lasting impact in various arenas. His work as a choir director at Cornell University, Ithaca College, and Calvary Baptist Church in Ithaca, NY garnered him much acclaim and has opened many doors. John has been blessed to share the stage and sing with some of music’s most talented artists including GRAMMY Award winners Kirk Franklin, Pastor Marvin Sapp, GRAMMY nominee Anita Wilson, and most recently, Jonathan McReynolds. In 2013, John had the unique opportunity to participate in the Abyssinian Mass Tour, a show composed, written by, and featuring Pulitzer Prize winner and nine-time GRAMMY winner Wynton Marsalis and the Jazz at Lincoln Center Orchestra and directed by his friend and famed musician, composer, and artist Damien Sneed. He returned to the DC Metropolitan Area in late 2014 and continues to minster musically. He serves as one of the Worship Leaders at his home church, Greater Mt. Calvary Holy Church, as well as a worship leader for its teen church, IMPACT. John is also an active member of Greater Mt. Calvary's Music Ministry and Youth & Young Adult Department. After many years of work with these and many other choirs, groups, and artists, John is embarking on his highly-anticipated debut LP slated for release in 2016. In March of 2015, John released his first commercial single, "Renew Me," on iTunes, Google Play, Amazon, and other digital outlets. His second single, A Different Drum," will be released in the fall of 2015.